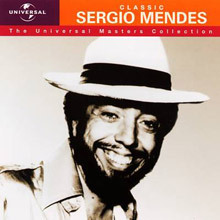 To begin with Sergio Mendes dreamed of becoming a classical pianist but ended up becoming one of the most popular Brazilian musicians – in so doing he helped to spread Latin jazz around the world. Moving to America in 1964, his timing was perfect as he caught the crest of the wave created by Stan Getz and Joao Gilberto and their album Getz/Gilberto. 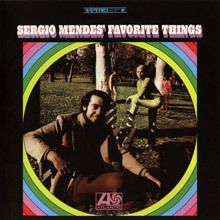 Mendes took the format of Brazilian Bossa Nova and created a warm, sun soaked sound that sold in its millions and has influenced many artists over the years. Born in Niterói, part of greater Rio de Janeiro, in 1941 he began playing Bossa Nova in nightclubs in the late 1950s, often with Antonio Carlos Jobim as well as visiting US jazz musicians. 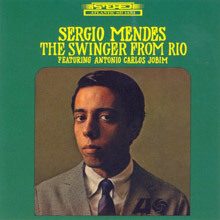 He formed the Sexteto Bossa Rio and recorded his debut, Dance Moderno in 1961. He toured America in the coming years and recorded with both Cannonball Adderley and Herbie Mann before settling in the U.S in 1964. Helped by Stan Getz and Herbie Mann to get membership of the Los Angeles Musicians Union, a necessity in allowing him to work more freely, his first band featured a Brazilian vocalist. 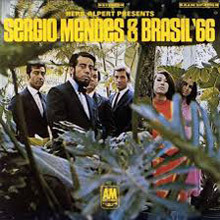 He soon replaced her with Chicago born Lani Hall (who later became Mrs Herb Alpert) and formed Sergio Mendes and Brazil ’66 to be signed to A & M Records soon after. 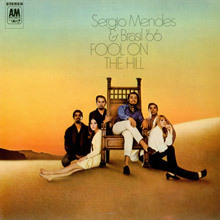 Their debut, Herb Alpert Presents Sergio Mendes and Brasil ’66, went platinum following the success of the iconic, ‘Mas Que Nada’, a cover of a Jorge Ben song. 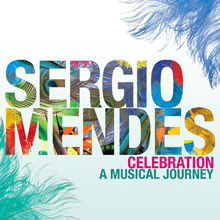 The album, besides some Brazilian classics, includes the Beatles ‘Day Tripper’ and the wonderful, ‘Goin’ Out Of My Head’. The band went on to record half a dozen albums before the decade was out. Among them was Look Around with a beautiful title track by Mendes and Alan Bergman & Marilyn Bergman, who also wrote the exquisite,’ Like A Lover’ and ‘So Many Stars’. Mendes also brings a fresh approach to the Burt Bacharach classic, ‘The Look of Love’. 1968’s The Fool on The Hill, aside from the title track, includes an excellent cover of Simon and Garfunkel’s ‘Scarborough Fair’. 1969’s Crystal Illusions features a number of songs co-written by Lani Hall, including the title track, which is one of the best songs Mendes ever recorded. The same year there was also Ye-Me-Le with the usual blend of covers and originals – standout tracks, ‘Masquerade’ and Lennon and McCartney’s ‘Norwegian Wood’. By the 1970s the bands popularity had stalled somewhat in America, despite remaining very popular in South America and Japan, along with a name change to Brazil’77. 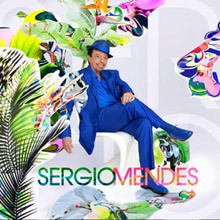 Then in 1983 he re-signed to A&M and released Sergio Mendes which included the hit, ‘Never Let You Go’ sung by Joe Pizzulo and Leza Miller; it reached No.4 on the Billboard singles chart. 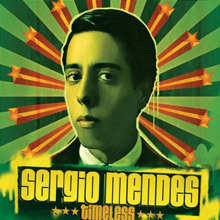 In 1992 he won a Grammy for his album, Brasileiro and then in 2006 he re-recorded ‘Mas Que Nada’ with The Black Eyed Peas; this version is included on Timeless. 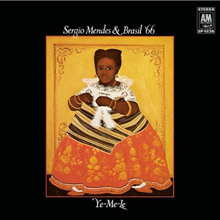 For an essential look at the career of this great Brazilian musician check out The Very Best of Sergio Mendes & Brasil ’66.